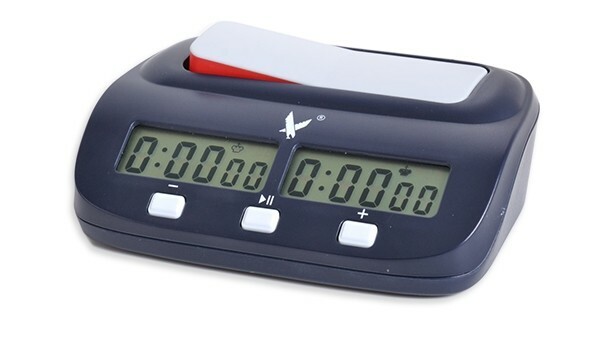 Fully FIDE and US Chess compliant, this affordable clock is easy to set. Each of the presets are labeled underneath the clock and the box it comes in. 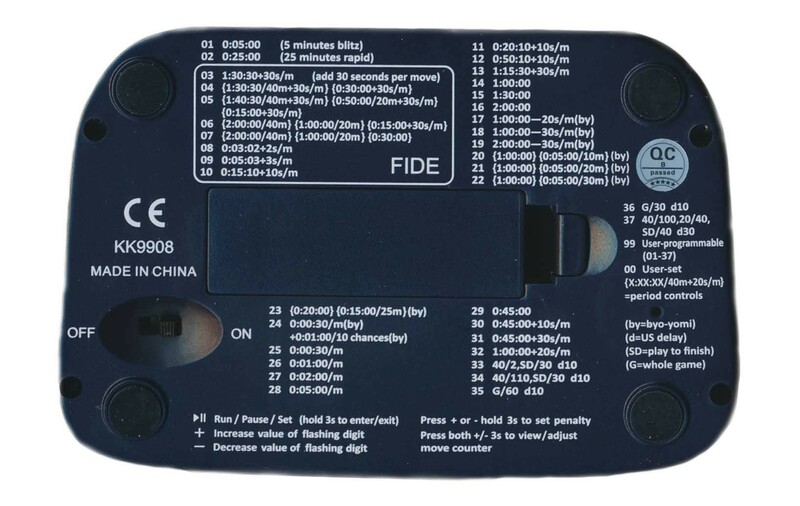 The FIDE time controls are circled so you can differentiate them very easily. All of the presets can be changed and the clock can save one user created setting with up to 4 additional time controls. The clock displays are angled very well for the players to see. The raised lever indicates whose turn it is by revealing red plastic. The on off switch is located underneath the clock so it cannot accidentally trigger during the game. FIDE is the acronym for The Fédération Internationale des Échecs or World Chess Federation, the international organization that connects the various national chess federations around the world and acts as the governing body of international chess competition. The United States Chess Federation is a member organization of FIDE.